The pioneer days were definitely something to behold. While living conditions weren’t exactly great by today’s standards, the world was their oyster – everything was new and exciting. The possibilities were endless. With so much wide open space, it’s no wonder that the imaginations of those who lived during that time gave us some of the great ideas and tools necessary to improve technology and take us even further into the undiscovered territories of the Americas. Girls on the pioneer trail also contributed greatly to the world we now know. Life on the prairies of the Old West could be hard. 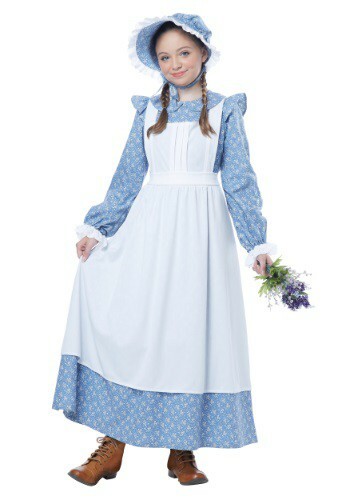 But one consolation was that girls got to wear clothes like this Child Pioneer Girl Costume. This might have been an everyday school dress for a pioneer girl or it may have been something fancier, depending upon the social class of the girl’s family. Either way, this authentic-looking pioneer girl dress is perfect for a number of events including Halloween, school plays, and reenactments. 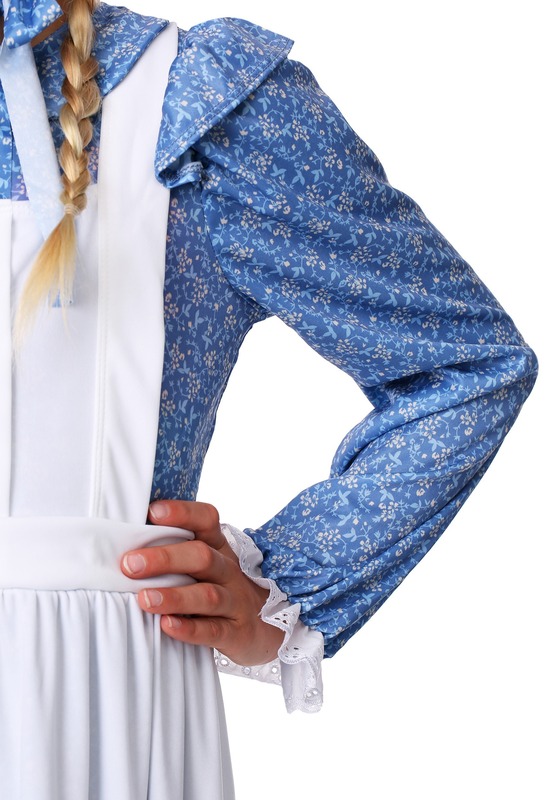 The costume for girls comes with a simple dress that fastens with Velcro at the back of the neck and features an apron that ties at the waist. The sleeves of the dress have shoulder ruffles as well as elastic and eyelet edging at the cuffs for added detail. 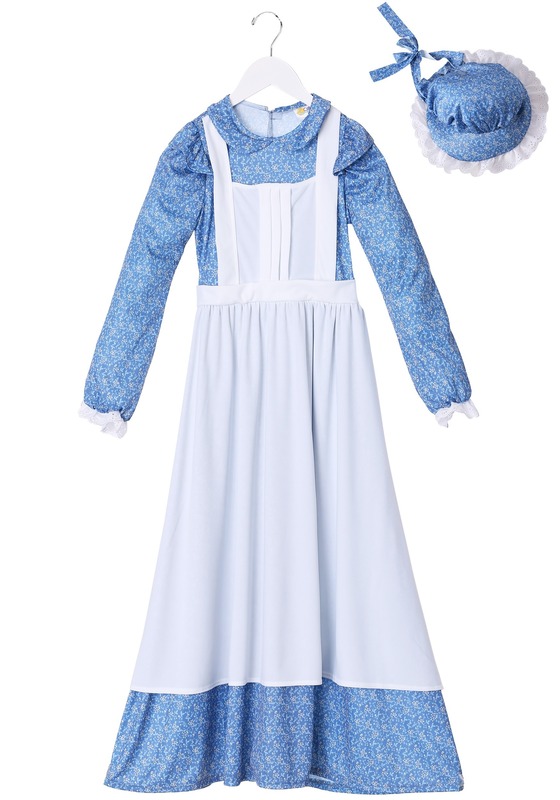 No young pioneer girl outfit would be complete without a bonnet, so this costume also comes with a traditional bonnet that has a foam brim with eyelet edging with elastic at the back and an under-chin tie for comfort. This costume will have everyone yearning for yesteryear! 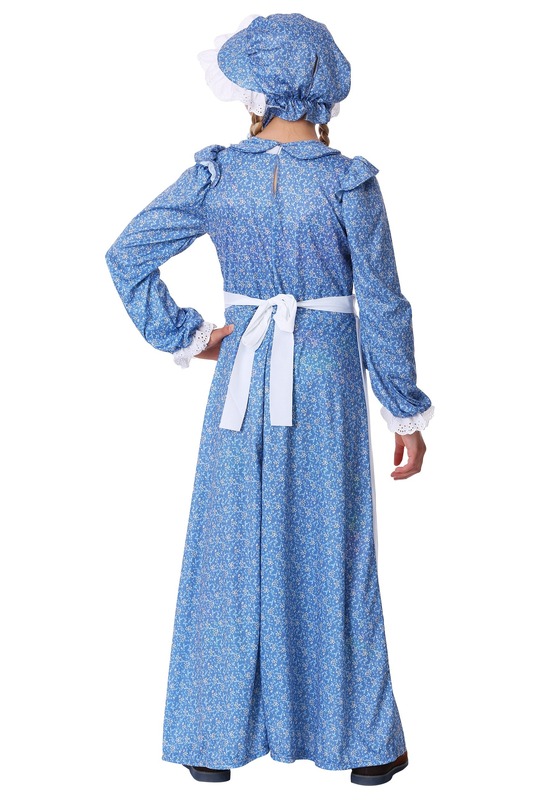 Its pioneer look not only hearkens back to the Oregon Trail days, making it the perfect outfit for your girl to wear during plays, reenactments, or just as a fun historical costume for Halloween.